This week's edition will be slightly different from normal. Due to there being a lot of events this weekend we've decided to have a quick look at 11 of the shows taking place. So let's get Ready For The Weekend. 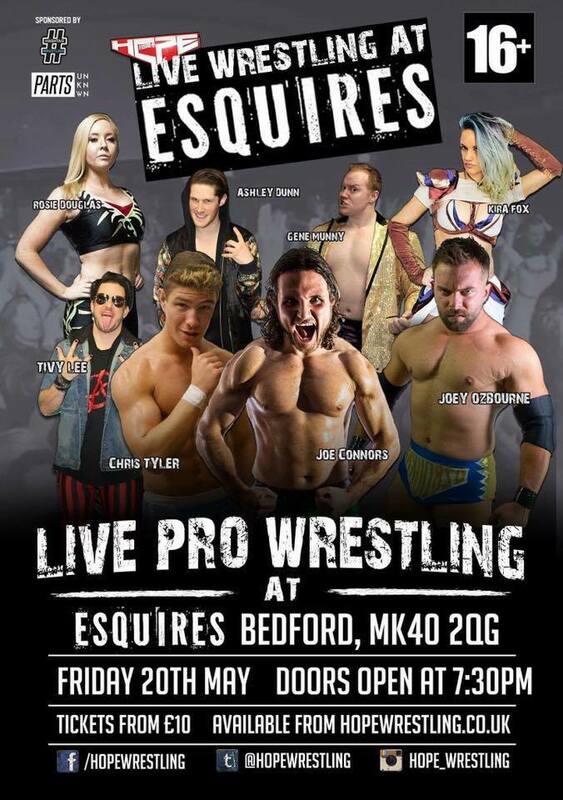 The wrestling weekend kicks off this Friday when HOPE Wrestling are heading to Bedford and the venue of Esquires. Three matches have been announced for the show with the main event seeing 'The Righteous' Joseph Conners taking on Ashley Dunn, a man who has faced the likes of Will Ospreay and El Ligero in recent months. Also scheduled for May 20th are Joey Ozbourne putting his undefeated streak on the line against two-time Kings Of Flight winner, Chris Tyler and White Tiger taking on DOA in singles action. 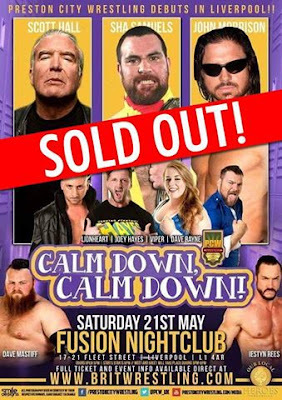 Moving on to Saturday and Preston City Wrestling will be making their debut in Liverpool at the Fusion Nightclub. The main event of that show will see Noam Dar taking on former WWE star John Morrison in a match which will be their third meeting in PCW. Grado shall also be in action on May 21st and has the chance to become a champion when he faces the current PCW Heavyweight Champion; Sha Samuels for the gold. Viper, who has just returned from Japan a few weeks ago will be facing Ireland's Martina in a first time meeting between the two. 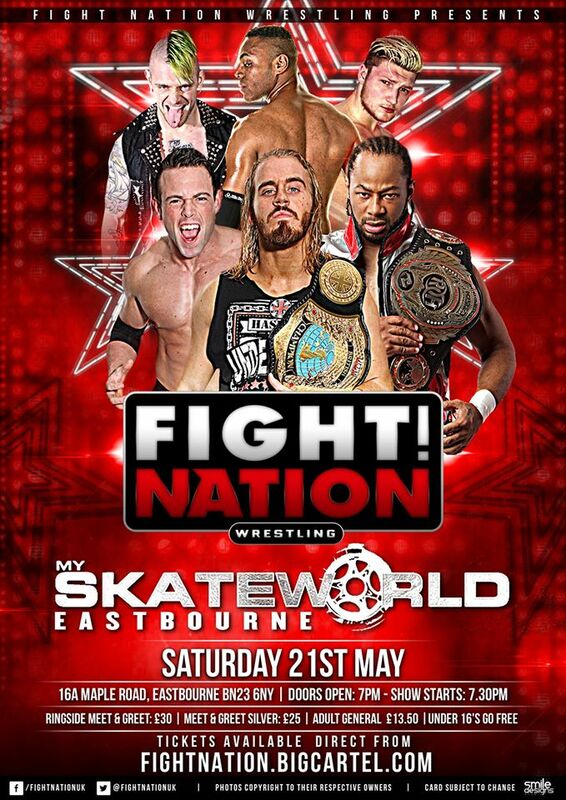 Saturday will also see Fight Nation Wrestling in action when they head to Eastbourne for 'Lethal Lottery'. The event will see Sammy Smooth, James Castle, Sid Scala, Jakey, Bruce & Ryan Smile participating in a tournament where the six men will be drawn into three teams. Those teams will face each other in a round-robin series of match with the team with the most wins going forward to the final. 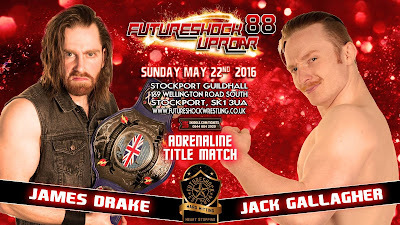 Those two men will then face each other in the final with the winner earning a FNW British Championship match. Speaking of the FNW British Championship, Mark Haskins will be defending the championship against Joseph Conners on Saturday. Ring Of Honor World Heavyweight Champion; Jay Lethal will also be in attendance on May 21st when he faces Josh Bodom in a non-title contest in Eastbourne. 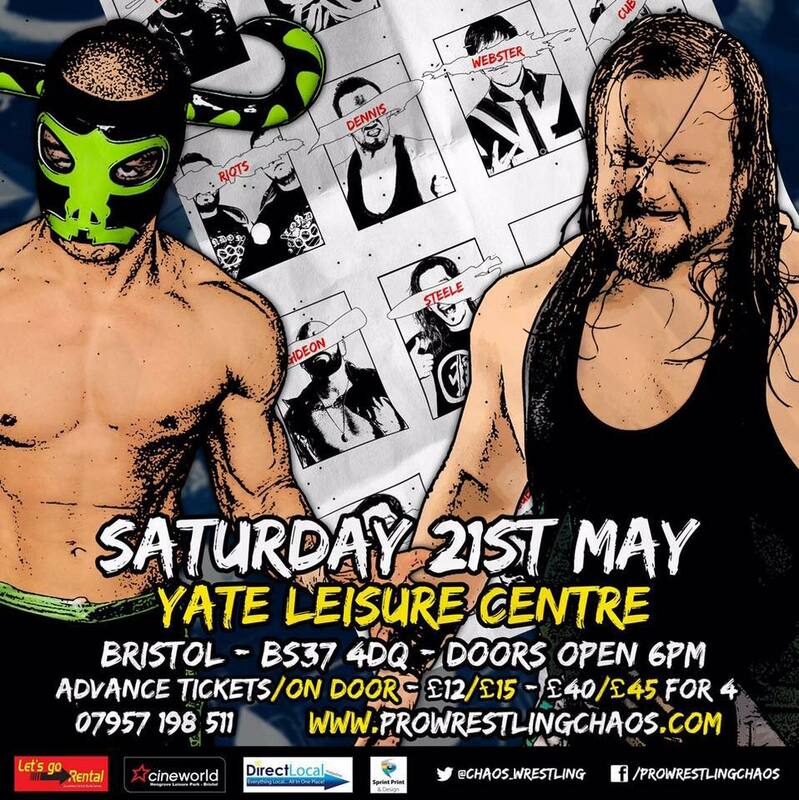 Our friends over at Pro Wrestling Chaos are bringing back their hugely successful Total Chaos event this Saturday night at the Yate Leisure Centre in Bristol. The night sees a plethora of stars coming together except for one big difference. Nobody knows who they are facing as all the matches are decided at random on the night. Last year saw some great contests take place and this year is bound to be no different with the King Of Chaos Champion; Wild Boar, El Ligero, Mikey Whiplash and international stars, Colt Cabana and Johnny Gargano all taking part in the aptly named 'Total Chaos' event. Heading south and Ironfist Wrestling are at the Rainbow Hill Social Club in Worcester. The show has two matches announced so far as Alex Gracie shall be defending the Flyweight Division Championship in an Infinity gauntlet match against Killian Jacobs, Chris Custodio, Matt Hovis, Tommy Sparks, Daniel Arrowsmith, El Kazador, Christopher Drew, Sugar Shay Morris and Joey Scott. Odds on Gracie leaving as champion are 10% and that's not the best chance for the champion. The show will also see the debut of Alex Windsor, formerly known as Liberty who shall be facing Millie Marks in singles action in Worcester. 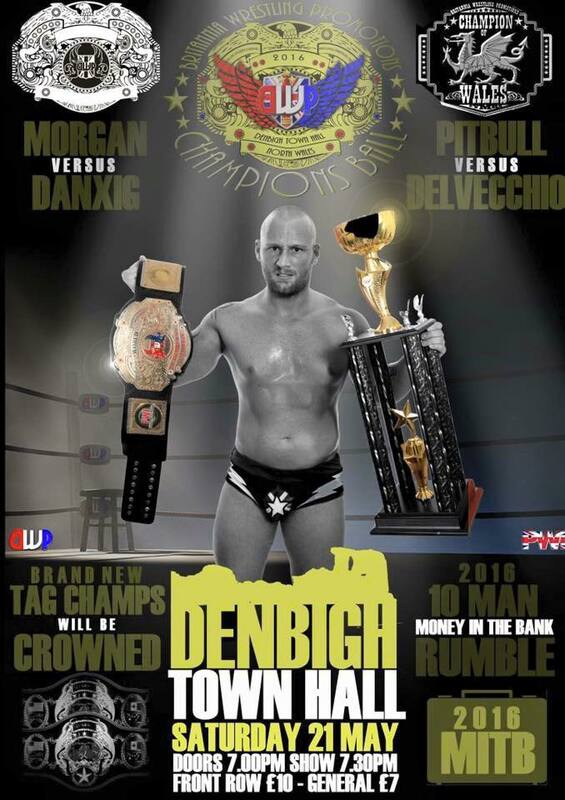 Finally, Britannia Wrestling Promotions shall see all their championships on the line at the Denbighh Town Hall this Saturday. Marc Morgan shall be defending the PWI:BWP World Catchweight Championship against Danxig. Babyface Pitbull shall also defend the Champion Of Wales title when he faces Dave DelVecchio. We're guaranteed new BWP World Tag Team Champions as the vacant titles will be up for grabs in a match to be announced. There shall also be a 10-man rumble where the winner will hold a Money In The Bank contract for a championship match of their choosing. 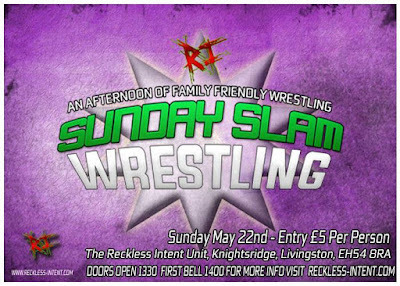 Rounding off the weekend on Sunday and Reckless Intent Wrestling are holding their Battle Of West Lothian tournament in Knightsridge, Livingston. 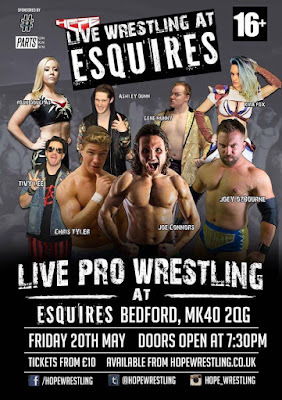 The tournament shall see Michael Chase, Jam O'Malley, Sean Mercer, Theo Doros, The Westler, Rob Mills, Delsin Dayre and Jackie Grady compete in four quarter final matches, with the winner progressing to the semi-final and eventually the final all in one night. With a current champion and numerous top members of Reckless Intent's roster all vying for the win, it's a tournament with a lot of unknowns as to who will walk away the winner. LCW Elevation are at Brockington College in Leicester on May 22nd with 'Ambition'. The main event will see 15 men compete in an over the top rumble match with the winner earning a match for the LCW Elevation Championship. The disturbing group of The Asylum will be in action this Sunday when they face the trio of Shauna Shay, Zak Northern and a third partner of their choosing. The Asylum have been running rough-shot for a while now. This trio will look to stop that momentum. Brett Ryans war against Joseph Conners will continue this Sunday when he faces another close ally of The Righteous one, Lucas Archer. Ryans has taken out Conners friends before and look to add another to the list. 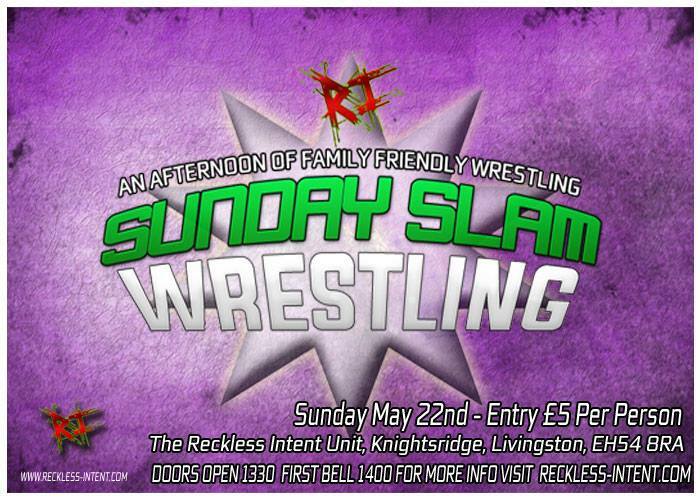 HOPE Wrestling hold their second event of the weekend on Sunday this time in Warsop. 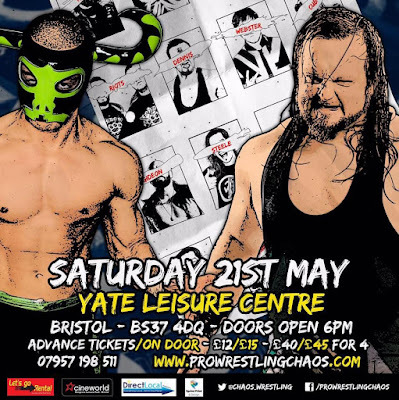 The show will see Kyle Kingley try to do what his tag team partner, Robert Sharpe couldn't do a few weeks back, defeat 'The Mexican Sensation' El Ligero. Speaking of Robert Sharpe, he'll also be in action when he faces CJ Banks in singles competition. Martin Kirby shall be defending the HOPE Championship this Sunday as well when he compete against Lucas Archer for the first time ever. The final event of the weekend will see Futureshock Wrestling back at the Stockport Guild Hall. The show shall see James Drake finally defend the Adrenaline Championship for the first time since January. It might be his last though as his challenger is Jack Gallagher, a man who is due to feature in the WWE Cruiserweight Classic in the near future. Fellow champion, Lana Austin will also be in action this Sunday but her championship will not be on the line. However, if her opponent, Violet Vendetta was to win, it would put her as a very serious contender to the Futureshock Women's Championship. Former Futureshock Champion, Xander Cooper will be competing this Sunday when he faces a man who is everything he is not, Sam Bailey. Both these men want a win over the other to put them on the path to hopefully once again become cahmpion.